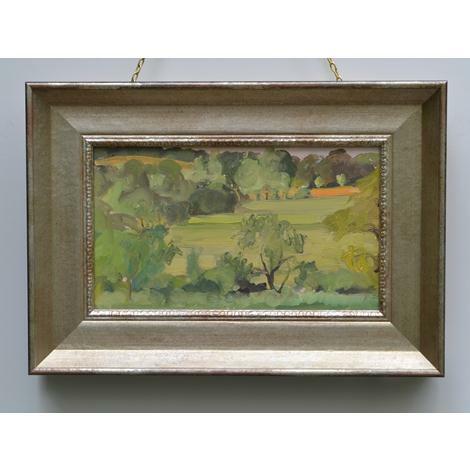 When we came across this delightful, small oil painting, with the notes, verso, suggesting that it had come from the artist, Paul Maze, we could not resist it. It could well be a painting of the West Sussex Downs, near the hamlet of Treyford, where Maze and his wife, Jessie, lived from 1950. It is clear that the painting is by a very skilled hand and stylistic evidence suggests that it is by Maze. 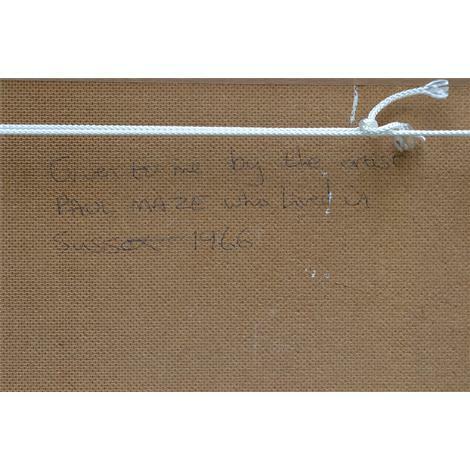 Inscribed verso, 'Given to me by the artist Paul Maze who lived in Sussex 1966'.